over fears children as young as three are going through unnecessary gender reassignment treatment. warn that the clinic is risking a “live experiment” by sending hundreds of children for life-changing medical intervention without sufficient evidence of its long-term effects. The Mail Online reports: It was feared some gay children struggling with their sexual identity are being incorrectly diagnosed as transgender. One of the clinicians told The Times: ‘I felt for the last two years what kept me in the job was the sense there was a huge number of children in danger. A spokesman told the Times: ‘It is only in recent years that the number of young people attending specialist services worldwide has dramatically increased. ‘Prior to this the numbers have been small and it has therefore been difficult to collect sufficient evidence to fully evaluate treatment pathways. In February doctors at the gender identity clinic warned young patients could be exposed to ‘long-term damage’ due to lobby groups and ‘pushy parents’. A report by former staff governor David Bell, said some children ‘take up a trans identity as a solution’ to ‘multiple problems such as historic child abuse in the family, bereavement, homophobia, and a very significant incidence of autism spectrum disorder’. The Bell report said many children questioning their identity may have ‘learnt through online resources [or] coaching from from parents or peers exactly what to say in order to get the results they want’. 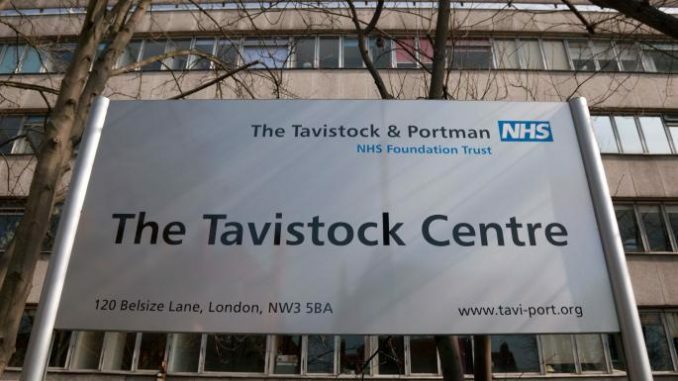 Psychoanalyst and former governor of the clinic, Dr Marcus Evans, resigned in February over concerns clinicians were looking for ‘quick solutions’ by offering gender reassignment. Last November the centre was accused of ‘fast-tracking’ young people for gender treatment in a letter sent by parents.